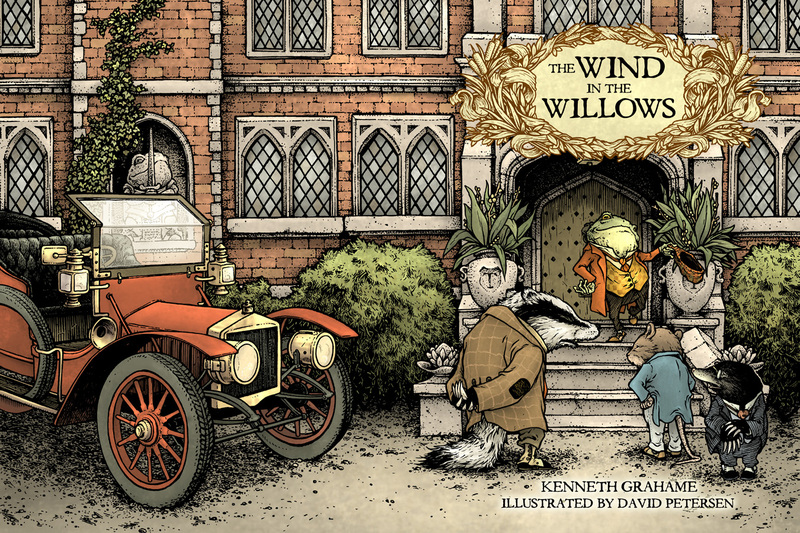 My illustrated edition of Kenneth Grahame's classic Wind in the Willows published by IDW has been released in the direct market (comic shops) and will be in the Book Market Feb. 14th! 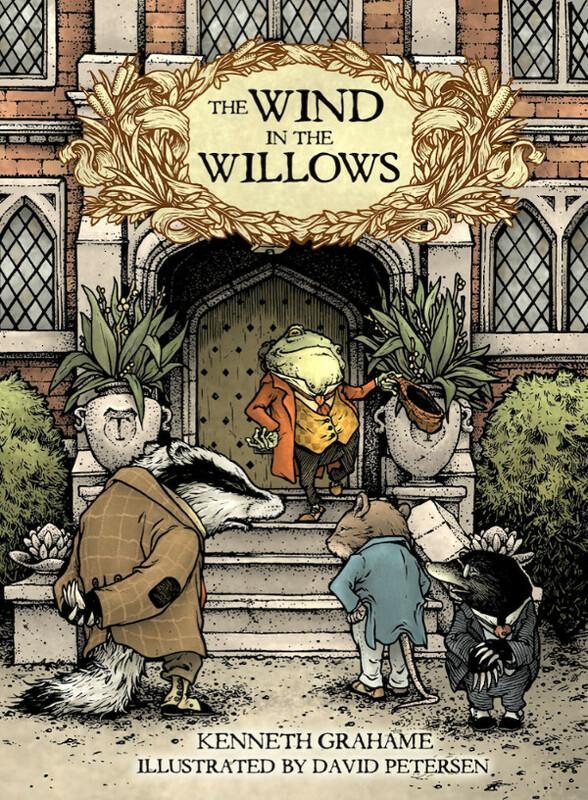 The book has Grahame's original text, with over 70 illustrations by me. For this week's blogpost I'm going to share a few of the physical models I built to help me visualize & illustrate the book. 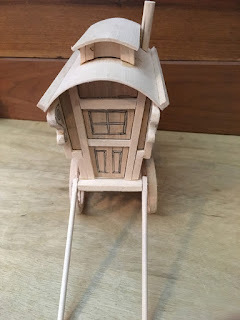 Below are photos of the models of the Toad's Caravan & The front facade of his Carriage House. I've also included a few videos of me talking about the models. 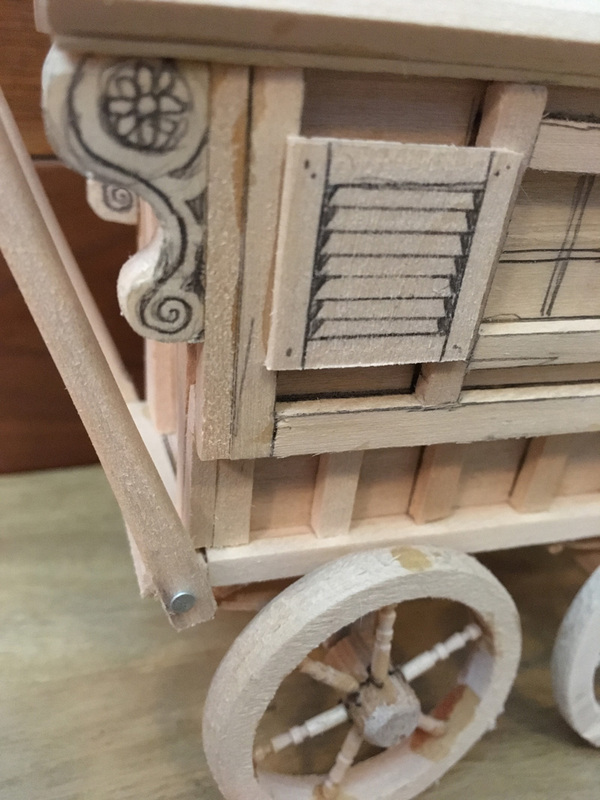 This model is made of basswood (typically used for doll-houe trim & details). The steps are removable and cam hang from the back, the wheels operate independently, and the axles have working suspension. Details are drawn on by hand in pencil. This model is all hand-drawn (no printing out duplicates) The wall is made of bristol board and the open doors are chip board (the thicker material on the back of a sketch-pad). The doors are hinged with painter's tape.